Ginvera Marvel Gel – Special Reader Promo! Have you all heard of Ginvera’s Green Tea Marvel Gel? It’s been on the market for a while now… I first heard about it three years ago when they exhibited at the Vitality Show. Anyway, what is it? Do you need it? The product itself is a pale green gel which you gently rub into your skin, focusing on problem areas. For me, I have congestion on my nose…. congestion = stubborn blackheads. As you rub the gel into your skin, you should start to feel ‘bits’ develop under your fingertips…. bits = flakes of dead skin. It’s at this point you run for the nearest mirror to examine the nasties and hope that what you see will gross you out slightly. Or is that just me? After about 60 seconds, the gel dries and it’s pretty fruitless to keep massaging the product in, so take a look at what you’ve removed! Once recovered, go and wash everything off with some tepid water and marvel (gerrit!) at how soft your skin now feels. Can you see a difference? I’m quite pleased with the results. I think that with continued use I may see some significant differences… though, perhaps not with the super stubborn areas. 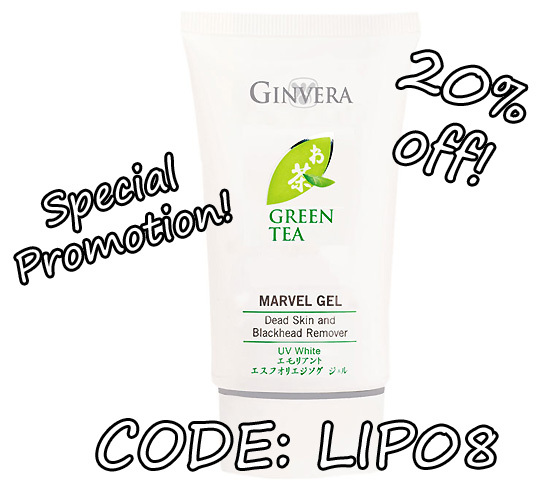 If you’re still with me and not too queasy, you can purchase Ginvera Marvel Gel online from HappyBabble, entering the code LIP08 (LIP ZEROEIGHT) into the password box when prompted to receive a special 20% off your purchase. I first heard about this about 3+ yrs ago on the Handbag.com beauty forum and everybody was going crazy for it. I never got round to buying some and your pictures have made my stomach churn but I need to try this once and for all! URGH woman is that???? How could a blackhead just be pulled out like that??? I bought this gel last year. I find it quite drying so I don’t use it often. But I do believe it removes dead skin cells quite well. You can actually smell the skin coming off while you’re rubbing the gel around – you like that smell of someone giving your arm a chinese burn? It really does look like it clears congestion from your photos! I bought my tube from eBay though from an overseas seller… as apparently it costs them virtually nothing in Malaysia/Singpore type of places. So it’s quite a lot cheaper than £15.. although the delivery time will be much longer of course. I was so grossed out that I missed out loads of words in my original comment, meaning that none of it makes sense! Hahahaha. yep, this thing costs about £2 over here in Malaysia! you should definitely try the Biore Pore Pack too. but be warned, it has a lot of pull! I have been using Hazel Lazia Peeling Gel and it has worked very well. I don’t get blackheads at all anymore! But it is a lil unnerving to see all that stuff being rubbed off my face…. Thanks Joyce, I’m going to look into that! 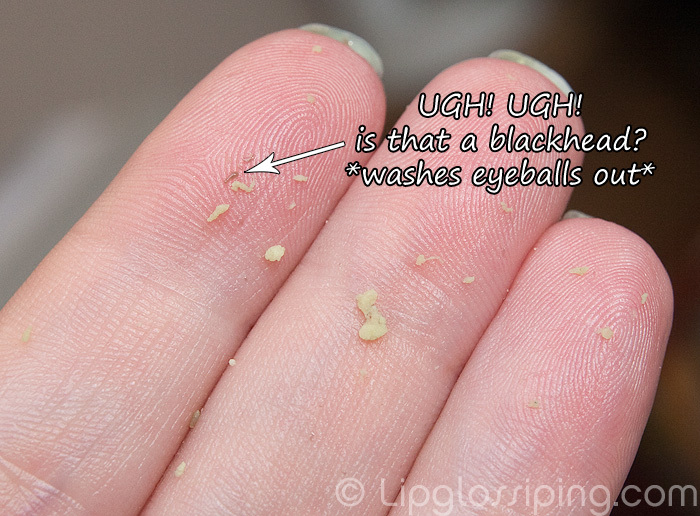 I too like lookin at ugly things like that..I have stareout with my noe pore strips all the day, shocked (and in semi denial) that my nose harbours that many pore habitants. I’m itching to give this a whirl so I’m off to research. Hahaha! 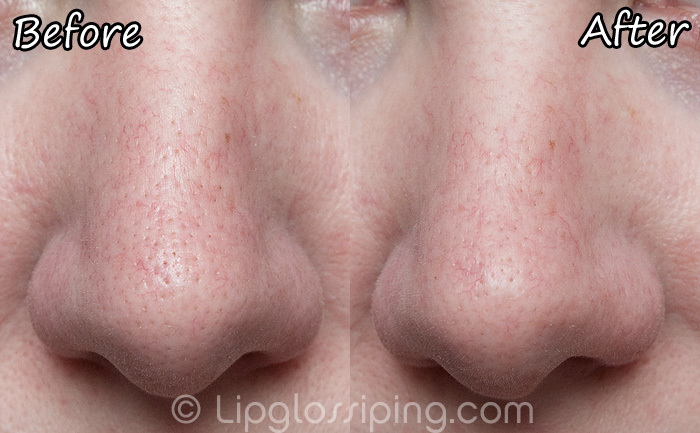 I love looking at my nose pore strips too! 😀 I also have really stubborn blackhead on my nose and chin, much worse than yours, and nothing seems to help, so I might give this a go. Thanks. I have a similar product from Missha, and to be honest, I was convinced that it was some type of trick- silicones in the product rolling up on each other. I haven’t done the appropriate research yet to support this theory, but your before & after pic has me wondering if maybe there’s really something to these gels! Definitely intriguing! I thought EXACTLY the same as you! We have a mouthwash over here called DentalPH (do you guys get it?) Anyway you can supposedly spit it out after swilling and see all the plaque it’s removed manifested as the mouthwash having gone ‘lumpy’. Always wonder if that’s a bit of a con. My mom said the same thing…. Next time I use it I am going to rub it between two spoons and see what happens. Wow gross and facinating in equal measure! I am intrigued! It won’t let me check out and I am desperate for this it seems to be exactly what I am looking for!!! Yes, The password is LIP08! Purge-tastic results. I have a strong stomach and take the same morbid interest in this kind of stuff, but also felt slightly queasy. Those photographic skillz of yours show the results in slightly too much detail for even my taste!